A Resort Girl finds great delight within nature’s beauty. Not to mention, Resort Girls have a certain charm themselves. As a RG who loves jewelry, I thought it would be a fun idea to start a charm bracelet/necklace to celebrate my RG adventures. This collection piece will be an artful reminder of my beautiful adventures – and a great everyday piece of jewelry. Ok, I must admit my inspiration did come while visiting the newly opened Spartina449 flagship store in Bluffton. A few years back, I purchased my first Spartina bag in one of my favorite Atlanta stores, Parsons. Back then, the brand mainly did handbags, and the purse I bought had caught my eye due to the appeal of the crisp linen paired with leather in an exotic tropical pattern. Over the years, Spartina449 has expanded its brand into many other categories, from scarfs to golf accessories, but what caught my attention the last time I visited their store were the colorful travel and tropical charms with unique bracelets. Wow, seeing this new collection of Spartina charms proved too tempting for the Resort Girl in me. My new idea of a RG travel/adventure charm collection was born, and I purchased two charms. Around here, we know a thing or two about the world being your oyster. Pyramids? Check. Great Wall? Yep. And we think this is what should be dangling at your wrist as you make your bucket list, a charm that says here, there and everywhere — including a crystal to mark Daufuskie Island. Inside? Your golden ticket to sail around the world. The other charm I chose is a beautiful butterfly. I have visited so many glorious gardens where the butterfly is always a fellow visitor, and my mother always wore a tiny gold one around her neck. 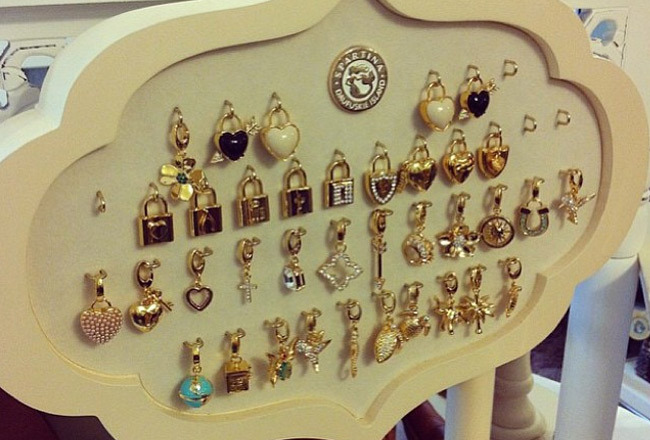 My plan is to keep expanding my collection by adding other brands and even some custom-made charms. There are many charming jewelry idea options, from Tiffany to Pandora to local artists. It all depends on your personal Resort Girl charm. Let your Resort Girl personality shine and collect charming memories. 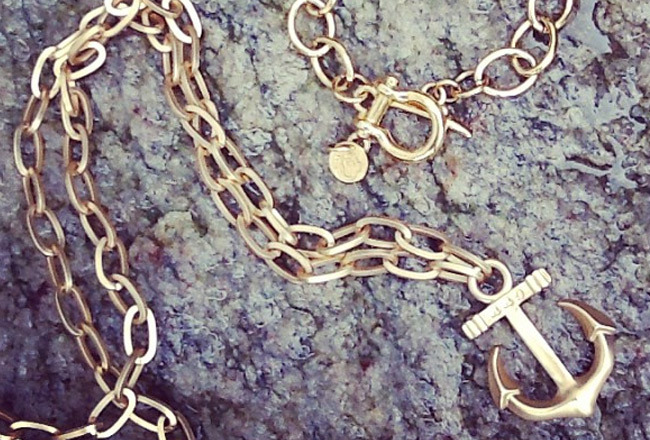 Share some of your charms with us.